We are huge fans of the Lean Research initiative at DAI’s Center for Digital Acceleration. I recently went to the Massachusetts Institute for Technology’s MIT D-Lab and sat with Elizabeth, Kendra, and Kim, the team behind Lean Research, to learn more about the genesis of the initiative and what tools and resources they offer ICT4D practitioners eager to “right-size” their own research approaches. 1. What is Lean Research? 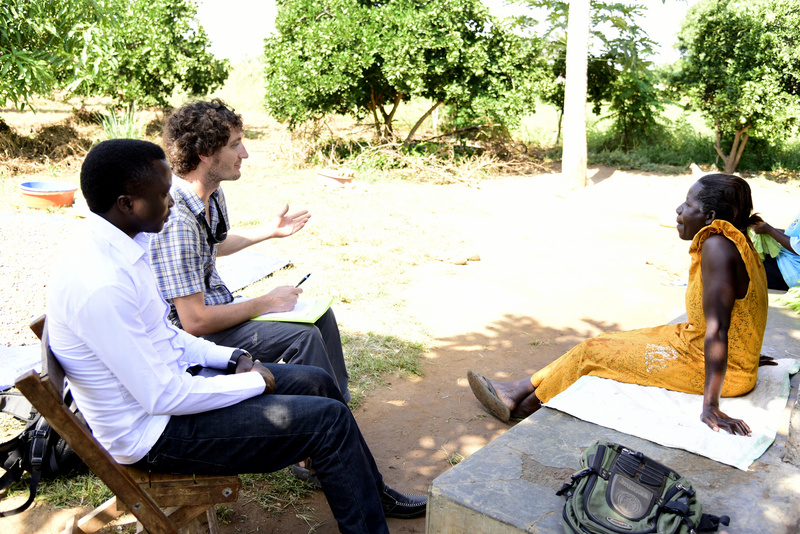 Lean Research is an approach and an initiative to improve the practice of data collection involving people and communities in development and humanitarian contexts. Increase the quality and accuracy of information gathered through field research. Improve the usefulness of research findings for stakeholders. Enable both the research process and outputs to benefit research participants and their communities, as well as donors and decision-makers. We use a framework of Four Rs: Rigor, Respect, Relevance, and Right-Size to guide and improve the practice of field research. 2. Where Did the Concept Come From? The relationship between the Fletcher School at Tufts University and MIT D-Lab as co-developers of the Lean Research approach came out of a meeting during the 2014 Scaling Development Ventures conference. During the meeting, we all realized that we had examples either from research we’d done that could have been done better, or research that we had seen others do that we thought could be done better. The genesis of Lean Research came from asking ourselves: Is research a development intervention? Meaning, is it a development activity, with it’s own potential for creating positive and negative impact? If we were to think of research as a development intervention and see the research process as an opportunity to apply human-centered design principles, could we take the same philosophy we’re using to approach our design work and also apply that to research? 3. How Do Interested Individuals and Organizations Participate? For the past several years, we have organized annual workshops and community-building events in Boston, which have helped members of our growing community learn from each other in person. We are also building a library of examples and cases of how different researchers and organizations have implemented Lean Research. So, getting involved in this initiative is a great way for organizations to share what they are doing with us and also with other members of the community. In terms of first steps, we encourage anyone who is interested to sign the Lean Research declaration and sign up for our mailing list (by emailing [email protected]), to be notified about events, workshops, and other opportunities. For example, on January 21 we are launched a free, seven-week online course on Lean Research Interview Skills via MITx on the edX platform (registration is open here). 4. What Types of Resources do you Offer Those Interested in the Approach? We suggest starting with the Lean Research Framework, which introduces the framework and principles, and offers a set of questions to guide research. For those looking for more depth, the Lean Research Field Guide offers examples of how organizations from the Lean Research Community are applying the principles in practice. We’ll be launching an expanded second edition of our Field Guide soon, so stay tuned for that! We also have a growing number of case studies, papers, and blog posts on the Tools and Resources page of our website. 5. What Are Some of the Key Lessons You Hope Practitioners Walk Away with from Reading the Framework and Field Guide? First, we want people to see the Lean Research Framework as a starting point for innovating more effective and respectful approaches to conducting field research. Readers will likely realize that we are not offering a recipe for how to do better research, but rather an invitation for people to develop their own, context-specific approaches to implementing the four principles. Second, we want people to know that implementing a Lean Research approach is possible—that a number of organizations and researchers are already doing this and that there’s an ongoing dialogue about how to adapt and refine the approach to your local context. We know there are inherent tensions in some of our examples (For example, does “right-sizing” interviews mean making them shorter or longer?). We include these tensions intentionally, because context matters, and your approach and methodology will differ depending on your goals and with whom you’re engaging. There is no right number, and we do not provide a single recipe, but we do provide people with an aspirational set of qualities and characteristics their research should reflect and include many examples to help them figure out how to get there. 6. What’s Next for Lean Research? Over the past couple of years, we have developed relationships with a growing number of colleagues who are excited to experiment with implementing Lean Research in their work and spreading it throughout their communities and institutions. Our next step, as an initiative, is to create mechanisms for members of our global community to interact more effectively with each other, not only in person, but also online. We’ll be looking for opportunities to create a web-based platform that facilitates interaction and also looking to add to our capacity to facilitate in-person interaction between members. If you want to become a member of the Lean Research Community of Practice, join DAI in signing the Lean Research Declaration.